Perfect World Entertainment and Motiga have announced that the Gigantic Open Beta will launch on Windows 10 and Xbox One in North America and Europe on December 8, as part of Microsoft’s Game Preview Program. Gigantic will also be available this weekend during another Closed Beta test, running from December 1 through December 4. Perfect World Entertainment Inc., a leading publisher of free-to-play online games, and Motiga Inc. are thrilled to announce that Open Beta for Gigantic launches on Xbox One and Windows 10 in North America and Europe on December 8, 2016, as part of Microsoft’s Game Preview Program. The free-to-play competitive action MOBA offers cross-play between platforms and releases on Arc (PC Windows) at a to-be determined date following the Xbox One and Windows 10 Game Preview Program. With Gigantic, we are trying to create an entirely new competitive experience. 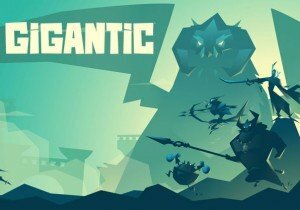 Throughout development, Gigantic has gotten attention for its unique art style, whimsical setting and fast-paced gameplay, but our goal has always been something more. We’ve sought to build a game full of intense moments and meaningful strategic choices, where there are many paths to victory and it’s always possible to come back and win. Open Beta and participation in Microsoft’s Game Preview Program is an exciting new phase for the project. We’re really looking forward to partnering with players to finish up Gigantic. As part of Microsoft’s Game Preview Program, the free Open Beta features a weekly rotation of six heroes from a roster of 16 and three maps: Siren’s Stand, Ghost Reef and Sanctum Falls. Each hero features a unique playstyle that can be further customized via skill trees during each match. Teams work together to attack enemies while claiming points on the map to summon powerful Creatures. Players can power up their team’s Guardian by controlling the battlefield and defeating enemies. Victory is awarded to the team that overpowers their opponents’ Guardian.